Description: The Nourishing Fork creates fresh, gluten-free, vegetarian/vegan meals that are locally sourced and crafted with love. The business strives to support individuals and families to eat nutrient dense, vibrant meals while allowing them to regain valuable time to spend doing the things that bring them joy. The business will help their clients to improve their quality of life without sacrificing health and nourishment. It is sourced from the best suppliers possible. Preferably our neighbour with the big garden. The Nourishing Fork is an energy restoring, peaceful and welcoming business. It is a community of like-minded individuals who are passionate about food and the connections food provides to our community, the planet and ourselves. The Nourishing Fork is all about passion for life, for change in the world, for education that food can heal and that we need to not only start teaching our children where their food comes from but also how to grow and prepare it. It’s time we invested in our lives, in our health, in our vibrancy and all the magic that comes from eating whole and being whole. Services include: Organic prepared meal delivery, in-home holistic meal preparation, kitchen stocking, custom orders, nutritional consulting and active consulting as well as workshops, cooking classes. 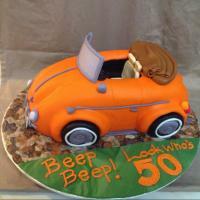 Description: Cakery Arts provides custom created, artisan style, made from scratch cakes. Owner, Cindy Finnigan, has taken her lifelong love for baking and combined it with her artistic talents in sculpting to make unique and delicious cakes. Cakery Arts specializes in cakes with sculpted elements, whether it is sculpted elements added to a basic cake or a completely sculpted cake, the goal is to always bring the clients vision to life. Cindy provides cakes for all occasions and would be happy to come up with something special for your next celebration. Raquel Desserts and Pastries is selling familiar desserts with a twist of foreign spanish desserts. Urban Distilleries is a small batch micro-distillery producing top-shelf gins, vodkas and rums including the signature "Spirit Bear" line. a range of distillery exclusives are offered for sale to walk-in customers including unique seasonal flavored vodkas. Tasting and tours are also available.